NO PURCHASE IS NECESSARY TO WIN. ALL FEDERAL, STATE, LOCAL, AND MUNICIPAL LAWS AND REGULATIONS APPLY. VOID WHERE PROHIBITED. Participation constitutes entrant's full and unconditional agreement to and acceptance of these Official Rules. 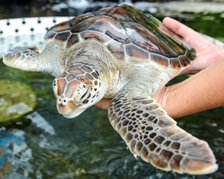 The Share the Love for Sea Life Park promotion (“Contest”) begins at 12:00:01 a.m., Hawaii Standard Time (“HST”) on April 17, 2019 and ends at 11:59:59 p.m., (“HST”) on May 15, 2019 ("Contest Period"). Contest is sponsored by Sea Life Park, who is solely responsible for all aspects of this Contest. ELIGIBILITY: Prizes are open to anyone 18 years of age or older, as of, April 15, 2019; however, Sponsor holds the right to modify prize for shipping purposes if the winner lives outside of the state of Hawaii. 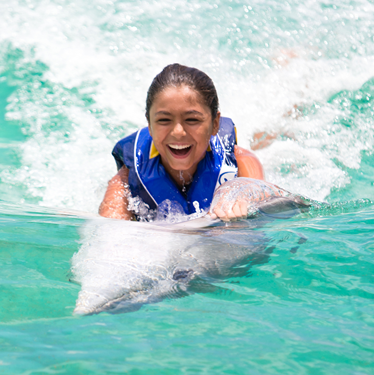 Employees, officers, and directors (including immediate family members and members of the same household) of Sea Life Park, their affiliated companies, subsidiaries, advertising and promotion agencies, and any other entities directly associated with the Contest are also not eligible to participate. All federal, state and local laws and regulations apply. 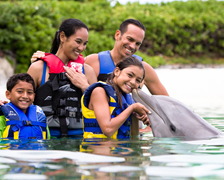 HOW TO ENTER: Participants will participate in the Contest by visiting Sea Life Park’s Instagram (@SeaLifePark) page, and liking, following and commenting on the weekly contest posts given. The deadline to enter for all entries will be 11:59:59 p.m.
Sea Life Park, reserves the right to disqualify any person suspected of submitting fraudulent entries or of tampering with the entry process. By participating in this Contest, participants agree to be bound by these Official Rules and the decisions of the Contest Administrator. All prizes must be claimed within seven business days of the date of winning. 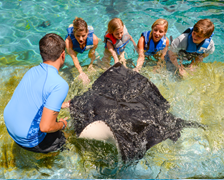 PRIZES: (8) general admission tickets, and (2) Hawaiian Reef Encounter. It is the sole responsibility of the Winners to satisfy the entry requirements. All local, state and federal taxes are the sole responsibility of winners. Prizes are not exchangeable, transferable, or redeemable for cash. There are no substitutions unless specified by the Sponsor. The Sponsor reserves the right at its sole discretion to substitute any prize package with another prize of equal or greater value in the event that the prize (or any component thereof) is not available. Prizewinners must redeem the daily prize within seven business days of the awarded date. All prizewinners will be required to sign an Affidavit of Eligibility and Liability/Publicity Release and return it within 14 days of written notification. If a prize or prize notification is returned as unclaimed or undeliverable to a potential winner, if potential winner cannot be reached within seven (7) calendar days from the first notification attempt, or if potential winner fails to return requisite document within the specified time period, or if a potential winner is not in compliance with these Official Rules, then such person shall be disqualified and an alternate winner will be selected for the prize at issue. All taxes, if applicable, are the sole responsibility of the winner. The winner’s entry and acceptance of the prize offered constitutes permission (except where prohibited) for the Sponsor to use said winner’s name, photograph, likeness, statements, biographical information, voice and address (city and state), in all forms of media, in perpetuity, without notice or further compensation. DRAWING: A random drawing will be conducted each day from April 17, 2019 to May 26, 2019 for the weekly prizes. Odds of winning depend on the number of entries received from among all participants. Potential winners will be identified by Instagram direct message and must sign any required winner’s documents or prize will be forfeited and an alternate may be selected. All income taxes resulting from acceptance of prize are the responsibility of the winner. By entering the contest, entrant accepts and agrees to these Official Rules and the decisions of Sea Life Park, which shall be final in all matters. By accepting the prize(s), winner agrees to hold Sea Life Park, their affiliates, directors, officers, employees and assigns harmless against any and all claims and liability arising out of use or redemption of prize. Sea Life Park, and its affiliated companies will not be responsible for lost, late, or misdirected entries or prize notices or for any typographical, or other error in the printing of the offer, administration of the contest, announcement of the prizes, or for any other failure of entries to Sea Life Park, prior to random drawing. 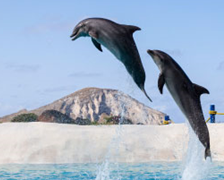 In the event of any such error or failure, Sea Life Park reserves the right to modify this contest in a manner deemed reasonable by Sea Life Park, at its discretion. All federal and state laws apply. TERMS & CONDITIONS: This Contest is subject to all applicable federal, state, and local laws. By entering the Contest, entrants agree to release, discharge, indemnify and hold harmless the Sponsor and its parent company, subsidiaries, affiliates, retailers, distributors and advertising and promotion agencies, and prize suppliers, and each of their respective directors, officers, employees, shareholders and agents from any and all liability, loss, damage or injuries to any person (including death) or property of any kind sustained in connection with their participation in the Contest or from their acceptance, receipt, possession and/or use or misuse of the prize, or for any typographical or other error in the printing, offering or announcement of the prize. Entrants further acknowledge that said parties have neither made nor are in any manner responsible or liable for any warranty, representation or guarantee express or implied, in fact, or in law, relative to the prize, including, but not limited to, its quality or fitness for a particular purpose. Any person attempting to defraud or in any way tamper with the Contest mechanics and/or implementation will be prosecuted to the fullest extent of the law. By participating, entrants agree to be bound by these Official Rules and the decisions of the Contest Administrator and waive any right to claim ambiguity in the Contest or these Official Rules. Sponsor reserves the right to disqualify any entrant that Sponsor determines, in its sole discretion, violates these Official Rules. 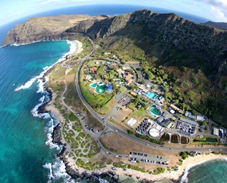 Sponsor: Sea Life Park, 41-202 Kalanianaole Highway #7, Waimanalo, HI 96795 USA.